... over what he says are the Channel's "continuous falsification of facts". His, is the latest of a long roster of veteran reporters, anchorwomen & men & managers who have left the vulgar channel over such allegations. Pentagon: "Our warnings to Tel Aviv against military action have gone home!" Foreign policy may be about to take a larger role in the presidential campaign, with Mitt Romney set to deliver a wide-ranging attack on President Obama’s handling of international affairs. This will take the familiar form of Republican charges of weakness against current threats, for example against North Korea, and inadequate assertion of US national interests, for example against Russia on missile defense. To counter this, Obama’s political advisers believe that the continued drone strikes and the killings of Osama bin-Laden and Anwar Al-Awlaki give him the cover he needs on national security “toughness.” Further, the weakening of public support for the Afghan war indicates that foreign policy is not a high priority for voters outside the community of those professional engaged in these matters. Nonetheless, we do expect to Obama to take some steps to remind voters of his international credentials. This will include high-profile events like the May NATO Summit in Chicago, but will also see some toughening of Obama’s positions in the run-up to November. Secretary of State is prominently engaged with regard to Syria. Additional measures will include restrictive trade measures against China together with new spending on cyber defenses against Russian and Chinese attacks. On Iran, the Administration must tread a delicate path. Its first objective is to gain time both for new oil sanctions to take effect and for EU-led negotiations starting on April 14th with Tehran to make progress. Proponents of a more urgent approach – which includes the whole Republican leadership other than Ron Paul – will try to exploit any temporizing by the Iranians to push Obama toward more decisive action, not excluding the military option. In navigating between these two choices, the White House will also be mindful of the need to stay aligned with Israel. Opinion in Washington about Israeli intentions remains mixed. Intelligence differences about the status of the Iranian nuclear program have narrowed recently and Pentagon officials voice confidence that their warnings to Tel Aviv against military action have gone home. Privately, however, there are growing concerns in US military and intelligence circles that Israeli action is “only a matter of time.” To guard against any surprises, US intelligence agencies have recently expanded electronic and satellite coverage of Israeli military installations. US officials believe that this coverage might provide some forewarning of any imminent Israeli deployments. 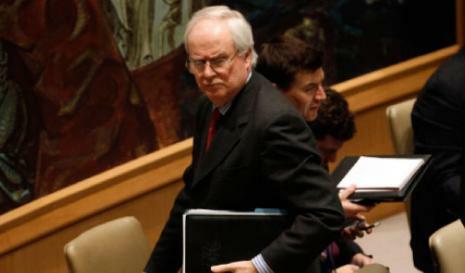 French Diplomat: "We underestimated Assad because we wanted to!" "Certes, les dirigeants du CNS excellent en Occident, parce qu’ils parlent notre langage, et nous disent ce qu’on a envie d’entendre." Iranian intelligence already has cracked one cell trained and equipped by Mossad, Western intelligence officials earlier confirmed to TIME. The detailed confession on Iranian state television last year by Majid Jamali Fashid for the January 2010 assassination by motorcycle bomb of nuclear scientist Massoud Ali Mohmmadi was genuine, those officials said, blaming a third country for exposing the cell. In that case, the public damage to Israel was circumscribed by the limits of Iran’s credibility: Officials in Tehran routinely blame setbacks of all stripes on the “Zionists” and “global arrogance,” their labels for Israel and the United States. But that could change if the Islamic Republic produced a captured Israeli national or other direct evidence............. allowing Iran to cast itself as victim, or simply by recasting the nuclear issue itself, from one of overarching global concern into a contest confined to a pair of longtime enemies. Some warn that the assassinations already run that risk. 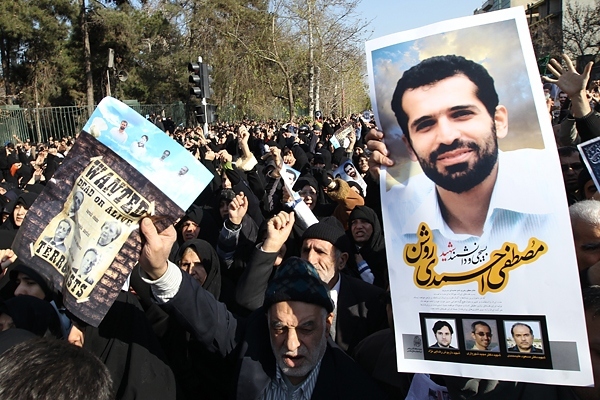 After the most recent killing, of nuclear scientist Mostafa Ahmadi-Roshan in January, the United States “categorically” denied involvement in the death and issued a condemnation. Western intelligence officials say he was at least the third Iranian scientist killed by Mossad operatives, who lately are running short of new targets, according to Israeli officials. “It undercuts the consensus, the international consensus on sanctions,” says Mark Fitzpatrick, a former State Department nuclear proliferation specialist who opposes the assassinations...."
"An opposition under the cloak of fanatics hiding behind a veneer of stupid liberals"
"... 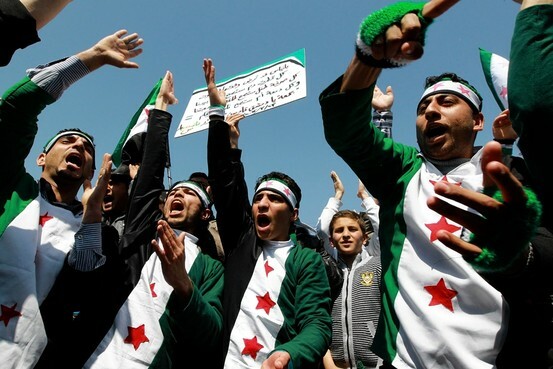 Some dissidents among the rebels are also denouncing the Syrian National Council (SNC) - the umbrella group recognised by leading Arab and Western nations as a "legitimate interlocutor" - as a front for the Islamist Muslim Brotherhood bankrolled by Gulf states such as Qatar. Kamal al-Labwani, a physician and prominent opposition leader who resigned from the SNC this month, called it "an opposition under the cloak of fanatics hiding behind a veneer of stupid liberals". According to Labwani, the ostensibly secular and multi-party SNC is no more than a façade for the Muslim Brotherhood, ... "The Brotherhood are the dominant force in the Council," Labwani said. "There is the Hama faction, the Damascus faction and the Aleppo faction of the Brotherhood, the Hama faction is backed and funded by Qatar and Turkey." Haitham al-Maleh, a veteran opposition figure and human rights lawyer who was jailed by both Assad and his father, bitterly denounces the autocratic habits of Burhan Ghalioun, the liberal Sorbonne professor who is the figurehead of the Council. "I want to see the council act democratically. 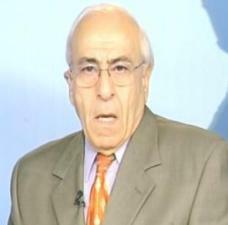 Until now, they are acting like the (ruling) Baath Party," Maleh, who withdrew from the SNC along with Labwani, told Reuters. "Ghalioun wrote his last speech in Istanbul and did not show it to us. They went to meet Kofi Annan [the former UN secretary general now acting as special envoy for Syria] in Ankara and did not inform us. This is a disaster. 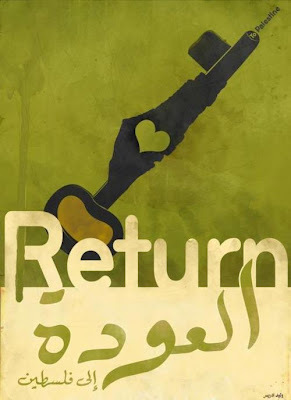 I cannot be in a place where I am treated as a nonentity", Maleh said. "There is a monopoly in the leadership and no transparency"...."
Off Balance & In need of Medication: "Whatever happens to Syria it will be coming back to us & America is turning to the 'power of ideas'!" "... Saudi Arabia is frustrated over how to counter Iran's maneuverings, which include expanding its influence with Iraq's Shiite-dominated government, training Islamic militants in Lebanon and arming Houthi rebels in Yemen. The kingdom's army battled the rebels in 2009 along the Saudi-Yemen border. Riyadh also alleges that Tehran is aiding an Al Qaeda branch in Yemen for attacks on oil targets inside the kingdom. Saud said, however, that Iran's alliances with countries such as Iraq and Syria were not stronger than the allegiances those nations have to the Arab world. Deep economic sanctions imposed on Iran have led to threats by Tehran to close the Strait of Hormuz, which would affect shipping lanes for all gulf countries. The Saudis have attempted to allay fears, saying that there is enough oil on the market and that it would boost output if necessary. Saudi Arabia and other gulf states are more alarmed by the specter of an Israeli strike on Iran's nuclear installations. (Not our understanding of the Wikileaks' recorded minutes!) Such an attack would probably shift international condemnation against Iran to Israel, spur terrorism against Jerusalem and possibly lead to a wider regional war. 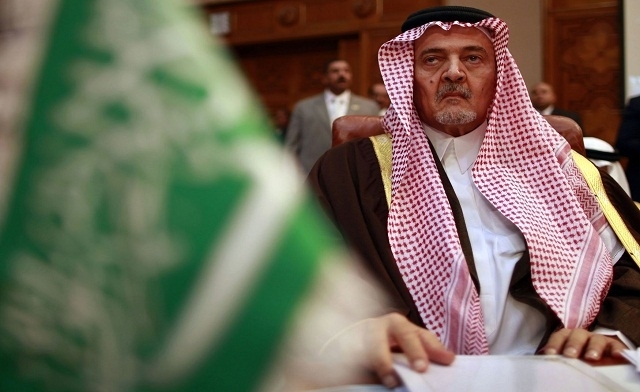 Saud said that Israel's rhetoric is reckless and that its security is not in jeopardy. "Who is threatening Israel with atomic bombs? Which Arab countries are arrayed on the border of Israel? Is there a threat to Israel's security?" he asked. An Israeli attack on Iran without considering the wider consequences "would be an act of extreme uncaring for the region and its stability," (what happened to 'cutiing the snake's head'?) he said. Saud said his kingdom has been closely following the global debate over Washington's perceived loss of influence. "People are saying that America is losing its power because it's not able to influence events in other countries," he said. "What you hear in the debate is that because America is not using its military force to solve things it's losing power." 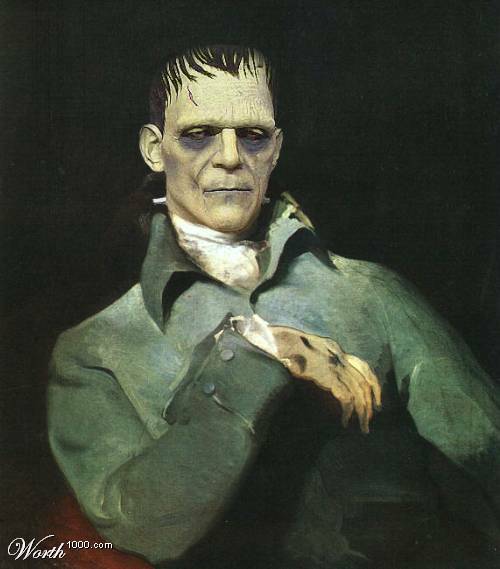 He said, however, that the White House was turning "to the power of ideas," which is "more important that the power of artillery."..." 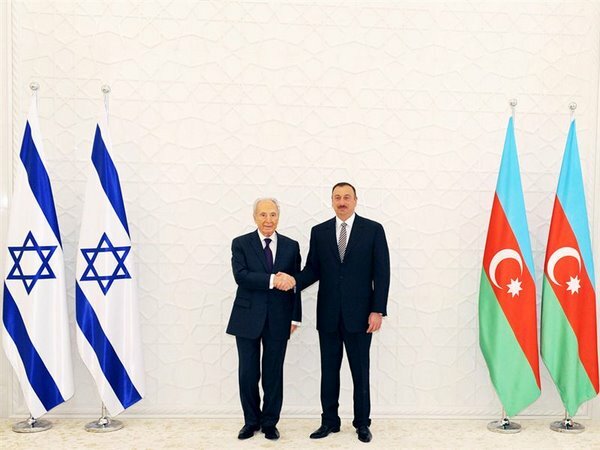 Israel Shields Public from Risks of War with Iran! "... 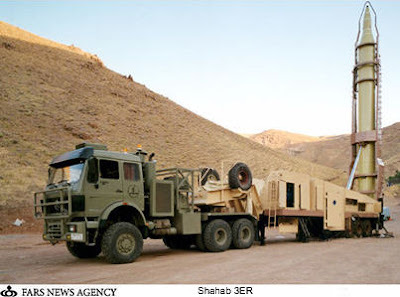 But Uzi Rubin, who was in charge of Israel’s missile defence from 1991 to 1999 and presided over the development of the Arrow anti- missile system, has a much more sombre view of Iran’s capabilities. The Netanyahu government has sought to minimise the threat of Iranian retaliation for an Israeli strike against Iran in part by likening war with Iran to those fought against Hezbollah and Palestinian rockets in recent years, which have resulted in relatively few Israeli civilian casualties...."
"Like US, Hezbollah Caught in the Middle of Israel-Iran Conflict"
Abu acknowledges: "...The relationship between Hezbollah and Iran remains complex and opaque, which is why it is worth taking with a grain of salt the analysis of anyone who claims to fully understand its intricacies..."
"... Hezbollah eventually forced Israeli troops out of southern Lebanon in 2000 and again defeated Israel in the 2006 Lebanon War, known in Lebanon as the July War. But even if Hezbollah’s senior leadership continues to pledge its fealty to the supreme leader in Tehran, there is ample reason to doubt Hezbollah is enthusiastic about attacking Israel again. First, Hezbollah’s core strength long ago ceased to be its relationship with Iran and is instead its relationship with its political constituency in Lebanon, which supports Hezbollah both by voting for its endorsed candidates in elections as well as through financial donations. This constituency, almost exclusively Shiite, was long made up of Lebanon’s economic and political downtrodden, but it is much wealthier today than it was in the early 1980s. People living in southern Lebanon and the predominantly Shiite suburbs of southern Beirut have a lot more to lose, materially, today than they did even in the 1990s. Hezbollah knows this, and it knows the war in 2006 was painful for its constituency. This might explain why the group’s leader, Hassan Nasrallah, made the extraordinary concession after the war’s conclusion that he would not have ordered the July 12 kidnapping of Israeli soldiers that triggered the fighting had he known that the consequences would be so severe. Second, Israelis worried in the aftermath of the war in 2006 that they had lost their deterrence capability. Never again, they fretted, will our Arab enemies take us seriously. They could not have been more wrong. From the perspective of Hezbollah, each major Israeli offensive on Lebanon since the end of the Lebanese Civil War has been progressively more severe. Operation Accountability of 1993 was a brutal air and artillery campaign that destroyed more than 6,000 homes in southern Lebanon. Operation Grapes of Wrath of 1996 was likewise an air and artillery campaign, but one that also targeted civilian infrastructure in Beirut. And during the 2006 war, Israeli air and ground forces struck all over Lebanon, killing more than a thousand Lebanese and displacing hundreds of thousands more, while destroying billions of dollars worth of infrastructure. 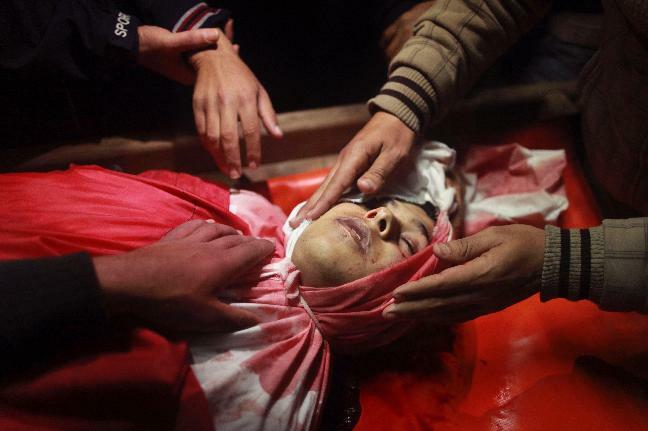 None of these punitive campaigns accomplished any of Israel’s immediate objectives. They were all, in a sense, failures. But all of them laid the groundwork for a pretty credible deterrent threat. When Israeli commanders speak of destroying the entirety of the southern suburbs of Beirut in a new campaign, as they did in 2006, Lebanese and Hezbollah leaders must take them at their word. Third, while Israel did not, in fact, lose its deterrent capability in 2006, the Iranians just might have. Israelis weathered the war in 2006 relatively well, with very few civilian casualties despite a 34-day bombardment of northern Israel by Hezbollah’s missiles. If the cost of a strike on Iran’s nuclear facilities, which Israel considers to be an existential threat, were a similar assault from southern Lebanon, that would be a price Israel could live with. If Iran was counting on Hezbollah to intimidate Israel into not attacking Iran, that strategy has obviously failed. I nonetheless believe that Hezbollah will strike Israel if the latter attacks Iran. The relationship between Hezbollah and Iran remains complex and opaque, which is why it is worth taking with a grain of salt the analysis of anyone who claims to fully understand its intricacies. But the financial, political and ideological ties between the two sides’ senior leadership will likely trump any constraints imposed by Hezbollah’s war-weary constituency. Another scenario, also quite possible, is one in which Israel pre-empts any action by Hezbollah by attacking targets in Lebanon -- specifically, sites suspected of housing Hezbollah’s medium-range rockets -- simultaneous to an attack on Iran. Such a pre-emptive attack would almost certainly trigger a response in the form of Hezbollah rockets. 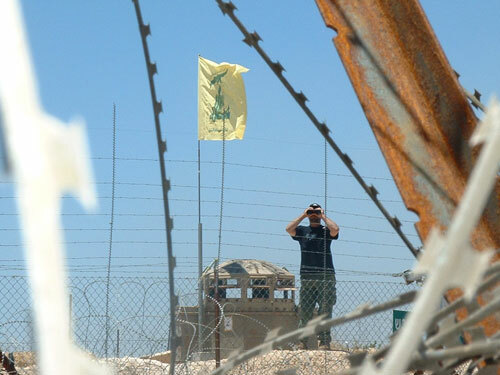 Previously, analysts had worried that a new war between Israel and Hezbollah would spill over into Syria, but the ongoing crisis there makes that less likely. In the end, Hezbollah finds itself in much the same position as the United States as it watches the clouds of war gather between Israel and Iran. Like the United States, it has reason to hope conflict can be averted. But like the United States, it is realistic about the likelihood that it will be drawn into a conflict once the first shots are fired." "Do you think we could have turned the tide against the U.S. [Iraq] invasion? Why would Syria be different?" Many Middle East officials view Saudi Arabia's arming of Afghan jihadis in the 1980s, through official and unofficial channels, as a prime contributor to the Afghan civil war and the rise of violent Islamic jihad. That has led to worries in many countries over the prospect of Saudi Arabia arming Syrian rebels now. 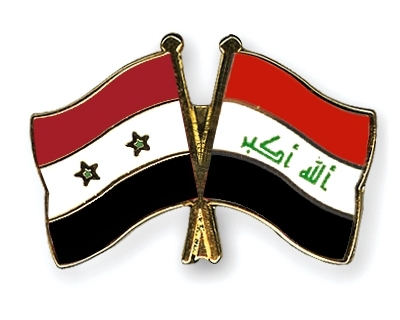 In Baghdad, Iraq's Prime Minister Nouri al-Maliki warned that arming the Syrian opposition could invite a repeat of the insurgency and sectarian strife that consumed Iraq for years after the 2003 U.S.-led invasion. "It will lead to regional and global proxy wars in the Syrian arena," he said. Jordanian officials said they are unlikely to resist Saudi pressure for long. "We are a non-interventionist country. But if it becomes force majeure, you have to join—this is the story of Jordan," said a top Jordanian official. Jordanian officials point to Iraq as a precedent, saying they would expect to support the rebels at the last minute, when sentiment to arm them peaks. Jordan remains nervous about arming the rebels, ...."You have to be very careful who you arm and don't arm. We don't quite know who this opposition is," said a third Jordanian official..."
"An implicit quid pro quo agreement has hence been reached!" YEMEN: "Centcom declined to discuss matters which may relate to US Special Operations"
A State Department spokesperson, speaking on background terms, replied: ‘I don’t have any information for you with respect to the December 17, 2009 incident in question. 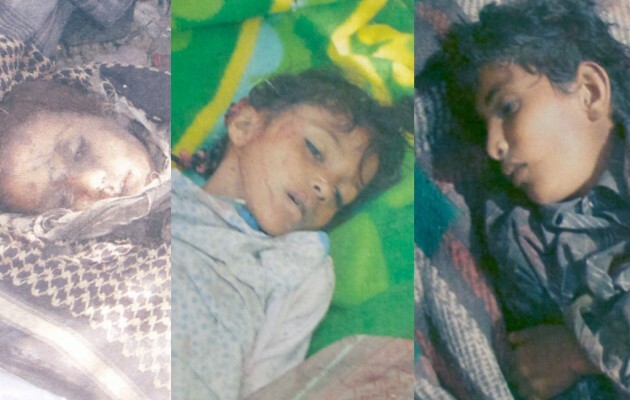 I refer you to the Government of Yemen...."
Clinton & Saudis 'explore' Syria! "Clinton will hold extensive talks with Saudi counterparts on the situation in Syria and on American efforts to stop bloodbath in Syria," a Saudi Foreign Ministry official in Riyadh said. He spoke on condition of anonymity because he not authorized to discuss the talks. For the U.S. and its allies, Syria is proving an especially murky conflict and one with no easy solutions. Assad's regime is of Washington's clearest foes, a government that has long been closely allied with Iran and anti-Israel groups Hamas and Hezbollah. Saudi Arabia and other Sunni-led Gulf countries are eager to see Assad's fall in hopes of breaking Syria out of its alliance with their regional rival, Shiite-majority Iran. Asked what might constitute success for Sunday's Friends of the Syrian People meeting in Istanbul, U.S. State Department spokeswoman Victoria Nuland said, "We want to focus on humanitarian aid ........."
BRICs: "Iran & Syria issues only resolved through talks!" "...Concerned about the situation in West Asia due to Iran’s nuclear programme and Syria’s internal affairs, India, China, Russia, Brazil and South Africa on Thursday agreed that the issues in these countries should be resolved only through dialogue. PM Manmohan Singh said on Thursday, “We had an in-depth discussion on the situation in West Asia. We agreed that a lasting solution to the problems in Syria and Iran can only be found through dialogue.” ..."
"... The source named the Chinese buyer as Zhuhai Zhenrong Corp, a state-run company hit by U.S. sanctions in January. A Zhuhai Zhenrong spokeswoman said: "I've never heard about this." She declined further comment...."
"Israel has decided to wait on attacking Iran until 2013!" "... According to a war simulation conducted by the U.S. Central Command, the Iranians could kill 200 Americans with a single missile response to an Israeli attack. An investigative committee would not spare any admiral or general, minister or president. The meaning of this U.S. scenario is that the blood of these 200 would be on Israel's hands..."
Chubb Corp. gets $9.4 billion judgment against Hezbollah after the group defaulted in a lawsuit over the Sept. 11 attacks! "A U.S. judge entered a $9.4 billion judgment against Hezbollah after the Lebanon-based group defaulted in a lawsuit over the Sept. 11 terrorist attacks.U.S. District Judge George Daniels in Manhattan today said that Hezbollah, designated a terrorist group by the U.S. State Department, must pay the damages to insurers including Chubb Corp. (CB) that sought to recoup payments to business and property policyholders for losses from the attacks. The insurers won default judgments in 2006 against al-Qaeda and Hezbollah after the groups didn’t contest the suit." New kid on the blog-block by an old knowledgeable hand! 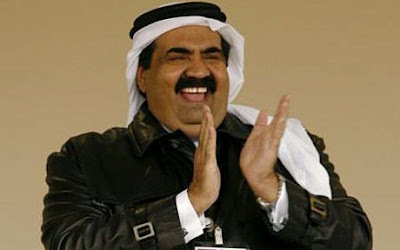 Hamad bin Jassem: "I hate to have to embrace Bashar Assad again!" 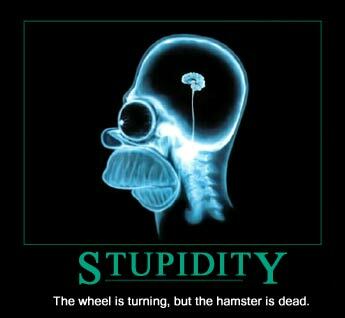 ...said a Qatari ambassador to his Kuweiti colleague when asked about the next phase should Assad survive the turmoil. Sources indicate that the 'personal' relations between the Kuweiti ruler and the Dubai ruler are 'excellent', ... perhaps heralding an Emarati initiative of some sort down the road! "... Welcoming Syrian President Bashar al-Assad's decision, US Secretary of State Hillary Clinton said he has to deliver what he has promised by accepting a proposal which mandates, among others, an immediate ceasefire and troop withdrawal. "Given Assad's history of overpromising and under-delivering, that commitment must now be matched by immediate action," Clinton told reporters in Washington, according to an AP report. 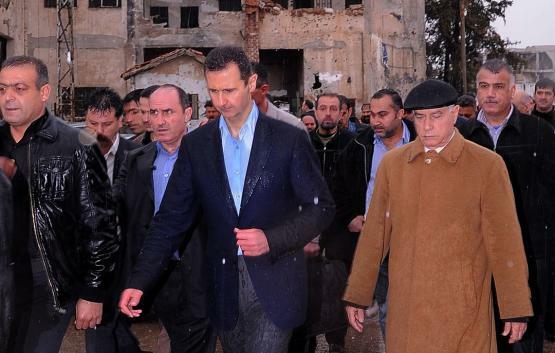 "We will judge Assad's sincerity and seriousness by what he does, not by what he says. If he is ready to bring this dark chapter in Syria's history to a close, he could prove it by immediately ordering regime forces to stop firing and begin withdrawing from populated areas." So, how much did you say you know about Iran's nuckear program? "The United States, European allies and even Israel generally agree on three things about Iran's nuclear program: Tehran does not have a bomb, has not decided to build one, and is probably years away from having a deliverable nuclear warhead. Those conclusions, drawn from extensive interviews with current and former U.S. and European officials with access to intelligence on Iran, contrast starkly with the heated debate surrounding a possible Israeli strike on Tehran's nuclear facilities. "They're keeping the soup warm but they are not cooking it," a U.S. administration official said. Reuters has learned that in late 2006 or early 2007, U.S. intelligence intercepted telephone and email communications in which Mohsen Fakhrizadeh, a leading figure in Iran's nuclear program, and other scientists complained that the weaponization program had been stopped. That led to a bombshell conclusion in a controversial 2007 National Intelligence Estimate: American spy agencies had "high confidence" that Iran halted its nuclear weapons program in the fall of 2003. There are also blind spots in U.S. and allied agencies' knowledge. A crucial unknown is the intentions of Iran's Supreme Leader, Ayatollah Ali Khamenei. Another question is exactly how much progress Iran made in designing a warhead before mothballing its program. The allies disagree on how fast Iran is progressing toward bomb-building ability: the U.S. thinks progress is relatively slow; the Europeans and Israelis believe it's faster. U.S. officials assert that intelligence reporting on Iran's nuclear program is better than it was on Iraq's weapons of mass destruction, which proved to be non-existent but which President George W. Bush and his aides used to make the case for the 2003 invasion. That case and others, such as the U.S. failure to predict India's 1998 underground nuclear test, illustrate the perils of divining secrets about others' weapons programs. "The quality of intelligence varies from case to case," a U.S. administration official said. Intelligence on North Korea and Iraq was more limited, but there was "extraordinarily good intelligence" on Iran, the official said. Israel, which regards a nuclear Iran as an existential threat, has a different calculation. (After its misadventure in Lebanon (2006), Israel is panicking: loss of credibility, deterrence and regional clout, are prompting all kinds of miscalculations!)..." "In general, they overplayed their hand & believed too much of their own propaganda"
"...The latest international action has been an EU ban on Assad's wife, Asma, and his mother travelling to EU countries (though, as a UK citizen, Asma can still travel to Britain). As damp squibs go, this is of the dampest. The Foreign Secretary, William Hague, claims this increases the pressure on the Syrian government but, on the contrary, it relieves it. Curtailing Asma's shopping trips to Paris or Rome, supposing she ever intended to go there, shows the extent to which the US, EU and their allies in the Middle East are running out of options when it comes to dealing with Damascus. "Nobody is discussing military operations," the UN Secretary-General, Ban Ki-moon, said last week. The insurgent Free Syrian Army has been driven out of strongholds in the central city of Homs, Idlib province in the north and, most recently, Deir el-Zour, in the east. Last Tuesday, Syrian soldiers supported by tanks rolled from four sides into Deir el-Zour, which is about 60 miles from the Iraqi border, forcing the rebels to flee and take shelter in homes and apartments after a short gun battle. Their retreat may make it more difficult to bring guns across the Iraq border from the overwhelmingly Sunni Anbar province. The swift Syrian army advance was in contrast with the month-long siege of the Baba Amr district of Homs which killed hundreds of people and left much of the area in ruins. Saudi Arabia and Qatar have blithely advised arming the insurgents, but there is little sign of them doing so. What went wrong for the advocates of regime change? In general, they overplayed their hand and believed too much of their own propaganda. By this January, everything they did was predicated on international military intervention, or a convincing threat of it. But this ceased to be an option on 4 February when Russia and China vetoed a UN Security Council resolution, backed by the Arab League, calling on Assad to step down. The experience of the US, EU, Nato and the Arab Gulf states in overthrowing Muammar Gaddafi turned out to be misleading when it came to Syria. The Syrian regime will not fall without a radical change in the balance of forces. The appointment of the former UN secretary-general Kofi Annan as a UN-Arab League peace envoy is a face-saver to mask the failure so far of the regime's opponents." A new world order is born in Syria? "US concern about Israeli intentions is reflected in increased US electronic & satellite surveillance of Israeli installations"
As President Obama heads to Seoul for the March 26-27 Nuclear Security Summit, attention is swinging toward the Korean Peninsula to which Obama will be travelling. With North Korea about to conduct a new long-range missile test, Administration officials are doing what they can to damp down tensions on the Korean peninsular.... The conference will, however, give Obama an opportunity to warn against the dangers of nuclear proliferation and to build international support for his strategy of isolating Iran. Here US officials believe that their argument that time should be allowed for sanctions to bite is gaining traction. Despite an unproductive meeting on March 20th between Chairman of the Joint Chiefs Dempsey and Israeli Chief of Staff Gantz at which the latter repeated Israel’s right to take its own decisions on its national interests, Intelligence Community analysts believe that their and Israeli assessments of Iranian capabilities are essentially the same. “We are looking at the same facts,” one analyst commented to us. “The difference between is that the Israelis believe that time is working against us.” US continuing high concern about Israeli intentions is reflected in increased US electronic and satellite surveillance of Israeli installations. Finally, we have been warning recently over the deterioration of US-Russia relations. This now appears to have led to a Russian decision not to participate in the May 20th-21st NATO summit in Chicago. "Looks like you just have to be the ‘right' terrorist organization to hold a fancy party in the US Congress!" "...Those supporters, many of them paid, include Giuliani, Rendell, Vermont Governor Howard Dean, Harvard Law Professor Alan Dershowitz. John Lewis (D-GA), former FBI Director Louis Freeh, former Sen. Robert Torricelli, former Rep. Patrick Kennedy, former National Security Advisor Gen. James Jones, former Joint Chiefs Chairman Gen. Richard Myers, former White House Chief of Staff Andy Card, retired Gen. Wesley Clark, former Rep. Lee Hamilton, former CIA Director Porter Goss, senior advisor to the Romney campaign Mitchell Reiss, retired Gen. Anthony Zinni, and former Sen. Evan Bayh. "Iran and Syria; Syria and Iran!" “Iran and Syria; Syria and Iran”, said one US official this week. Then he added, “That’s today. Tomorrow could be Egypt and that could be even worse.” However, with President Obama ‘s appearance before the annual policy conference of the American Israel Public Affairs Committee, the focus was most directly on Iran. The President received plaudits from a wide variety of observers and government officials. As one well informed observer put it, “He made it clear where the Administration stands. Until now, many, even officials within the Administration were uncertain whether US policy would eventually lead to acceptance of the inevitability of Iran gaining a nuclear weapon. By ruling out a policy of “containment”, the President drew a line where one had not existed before. This declaration clearly encouraged those who have taken a hard line on Iran, not only in the US but among European countries as well. who are concerned that “unacceptable” progress in developing a nuclear weapon by Iran is measured differently in Washington than in Jerusalem. What Israeli Defense Minister Barak has called Iran’s potential “zone of immunity” [from attack] will occur a lot sooner for Israel than for the US. And US officials, aware that Israel prizes its ability to act independently above most everything else, know it will not easily for them to accept that only the US can be in a position to set back, if not halt, Iran’s march to a nuclear weapon. Yet the Israelis are also aware that just in the past few weeks have tough economic sanctions begun to affect Iran. New sanctions by the European Union; cutbacks in oil purchases by Japan and the latest blow, the cut-off of Iran’s access to the Belgian-based “SWIFT”, an international clearing house for financial transactions have the potential not only to seriously damage the Iranian economy, but in the view of US analysts, to threaten the stability of the regime. The Parliamentary elections held earlier this month in Iran, which, according to US analysts, significantly enhanced the power of the “Supreme Leader”, Ayotollah Khameini, may, paradoxically, increase the chances for Iran to accede to international pressure on the nuclear issue. 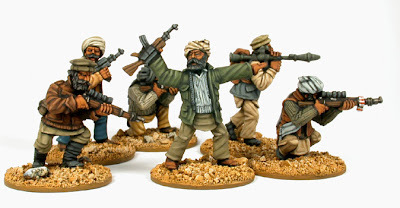 “For Khameini & Company, the name of the game is ‘survival,” says one State Department official. In his view, by emerging stronger from elections that, unlike those for President in 2009, were calm and peaceful, resulted in a splintering of power among many factions, thereby enhancing Khameini’s role as ultimate arbiter. Secure in power, he now has the authority, so the argument goes, to allow a deal with the so-called “P-5 + 1[Russia, China, the US, Britain, France and Germany) in talks slated to begin in April. In the meantime, the sanctions will continue to tighten adding incentives day-by-day for the Iranians to make a deal. It is expected by those involved in setting up the talks that the first round will be a mere exchange of formalities. Two more rounds, hopefully in succeeding months, will better determine whether the Iranians are serious about making a deal or merely stalling for time. Making deals with Turkey has become a problem for other international actors as well. With its formidable military and key geographical location, it is uniquely suited to pressure the Assad regime in Syria to halt its violent crackdown on armed and unarmed opposition. While, US officials strive to keep in contact with their Turkish counterparts, rumors have emerged that the key Turkish actor, Prime Minister Erdogan is in poor health. Since many analysts see him as something of a “one man band” [to cite a State Department official’s phrase], his absence from the scene could severely hamper international efforts to pressure Syria. [Although, Turkey is hosting a meeting of Syrian opposition figures on April 1]. Absent a strong Turkish role, pressure from the outside has had almost no effect on the actions of the Assad regime.... And US officials, like their European counterparts have continued, what might euphemistically be called a “cautious” approach to involvement in Syria. Only some of the Gulf States, led by Qatar, have begun to think in terms of greater assistance to those fighting the Assad regime. “The Qataris are pressing the Saudis to do more in the way of arming the resistance,” says one well informed US official. And, although the Saudis have made it clear they want Bashar and his entourage to go, they have not, as yet, devoted the means to making that happen..."
Syria: "The UNSC statement represents a face-saving way out for anyone who wants to back away from previous hard-line positions!" "...“The positive outweighs the negative,” is perhaps the phrase that best expresses the official Syrian position on the United Nations presidential statement issued on Wednesday......... from the Syrian government’s point of view, the statement is still nothing but “empty words” even though it represents a face-saving way out for anyone who wants to back away from their previous hard-line positions against the Syrian regime. The Syrian position seems to highly value Russian efforts at the UN Security Council (UNSC), especially Moscow’s insistence to all concerned parties that its acceptance of this non-binding compromise does not mean a change in its principled position on the crisis in Syria. The sources point out that the statement also confirms the willingness of Syrian authorities to provide humanitarian assistance to all areas affected by the fighting but “at the right time,” meaning it will be up to the Syrian government to determine if it is possible to do so based on the situation on the ground. The same sources maintain that the question of humanitarian assistance is not a simple one. It requires defining a clear mechanism for delivering aid after it gets inspected. When asked about the Syrian government’s position on this statement, the sources confirm that “for Syria, the outline is clear and that is: reject anything having to do with the Arab League and welcome anything related to the humanitarian situation based on conditions on the ground.”.... These sources confirm that the UN statement is a reflection of the Syrian authorities success in controlling the situation on the ground. He came to Damascus and held talks offering what is called in diplomatic language a “non-paper,” and we replied in kind. We welcomed his effort without a paper. He left. He told us I will send a team to discuss the details and we welcomed that step too. 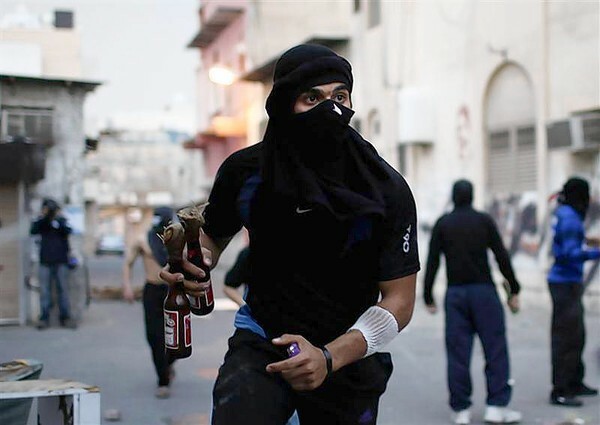 "The Saudis are worried ...."
"... Analysts say Riyadh sent troops last year because of alarm that Bahrain had not contained protests that had the potential to spill over into the Shi'ite Eastern Province region, where major Saudi oilfields are located. An opposition politician, who did not wish to be named, said Saudi Arabia now feared that the conflict in Syria, in which Shi'ite Iran and its ally Hezbollah back Bashar al-Assad's rule, could sharpen Bahrain's sectarian divide - detracting attention from Syria and firing up Saudi Shi'ites. Unrest in the Saudi Eastern Province has flared again in recent months. "The Saudis really don't need unrest in the Eastern Province right now," said Michael Stephens, researcher at the Doha-based Royal United Services Institute. "The policy priority for Saudi Arabia has been Syria for last three months." More from wallowing March14ers: "Clinton told the Turks & Saudis not to move forward against Assad"
"... this means that Washington, which at one point subcontracted its Syria policy to Ankara, has now called the Turks off the regime of Bashar al-Assad. This conversation fits well with the administration’s message to other regional allies, namely Saudi Arabia, against arming the FSA and pushing Washington’s preferred policy of going through the Russians, in an attempt to reach a “political solution” to the Syrian crisis. There were hints of Davutoğlu’s agenda on the eve of his meeting with Clinton, along with some speculation about Turkish-US consultation regarding the creation of a safe zone in northern Syria. The idea was that Turkey was prepared to move in this direction following the failure to reach an agreement with Moscow ..... Apparently, the Turks, much like the Saudis, were looking to the first Friends of Syria meeting in Tunis as a possible forum to bypass the Russians and begin a more muscular effort, with US backing. The Saudis found out at the meeting that no such action was forthcoming, and withdrew in frustration, while publicly voicing their preference for arming the Syrian rebels. The message conveyed to the Turks was the same one made clear to the Saudis. According to one US source, when Davutoğlu ended up asking Clinton where the administration was on the issue, her response simply repeated the mantra about the Arab League initiative and going to the Security Council again for another go at the Russians. In other words, it was more of the same. Not surprisingly, following the meeting, the Turkish foreign ministry pulled back, stating that direct intervention “is not on our agenda at the moment.” The Turks may have finally decided that more aggressive measures are needed. However, and despite the fact that Clinton may not have objected to Turkey moving on its own, Ankara remains reluctant to lead such an endeavor on its own, especially without explicit US approval and backing. In effect, therefore, the administration was actively blocking any such move on Turkey’s part, just as it held a red light to possible Saudi and Qatari plans to arm the FSA. However, last week, Turkish Prime Minister Recep Tayyip Erdoğan once again floated the idea of a buffer zone, adding that the next Friends of Syria meeting, scheduled to take place in Istanbul on April 1, would come up “with very different results,” ..... there has been speculation that the Saudis, too, are waiting for the April 1 meeting before beginning their efforts to arm the FSA in earnest. The purpose of such declarations could be to pressure the US to take more aggressive action. If this reading is correct, then it would explain the Obama administration’s eagerness to support the Kofi Annan mission, as well as its praise for the non-binding UN Security Council statement issued yesterday. Secretary Clinton hailed the statement even when it contained no mention of Assad’s departure from power, no time constraints on Annan’s mission, and no specific or credible threat of action in case of Syrian non-compliance, ....... Whether the Saudis and the Turks will decide to proceed regardless with their plans following the next Friends of Syria meeting, remains to be seen. But the administration’s latest move certainly has limited their maneuverability. As a result, the administration has found itself in the surreal position of siding closer with Assad’s Russian ally..."